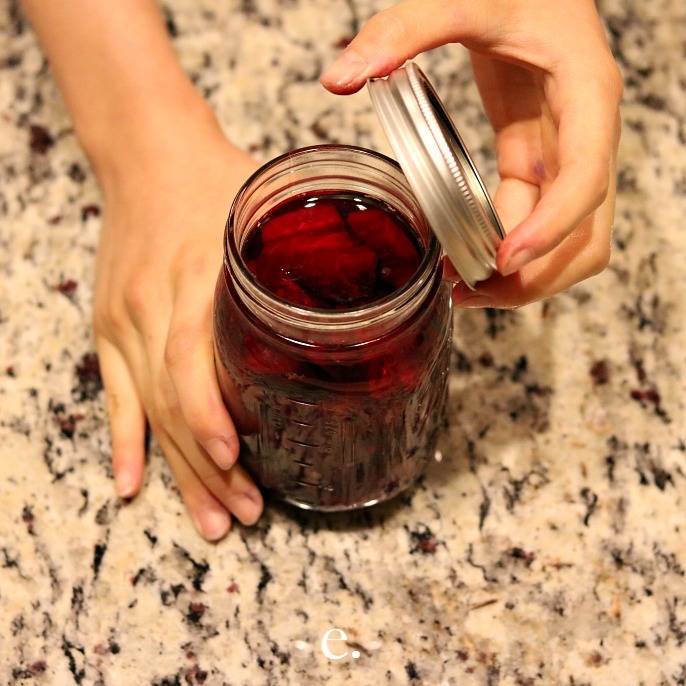 How to Make Fermented Beet Juice? Making fermented beet juice is one of my top recommendations for beginners. You only need beets and salt (a). That's it. Peel off the outer skin and chop the ingredients into small chunks before throwing them into the bottom of a jar (b). 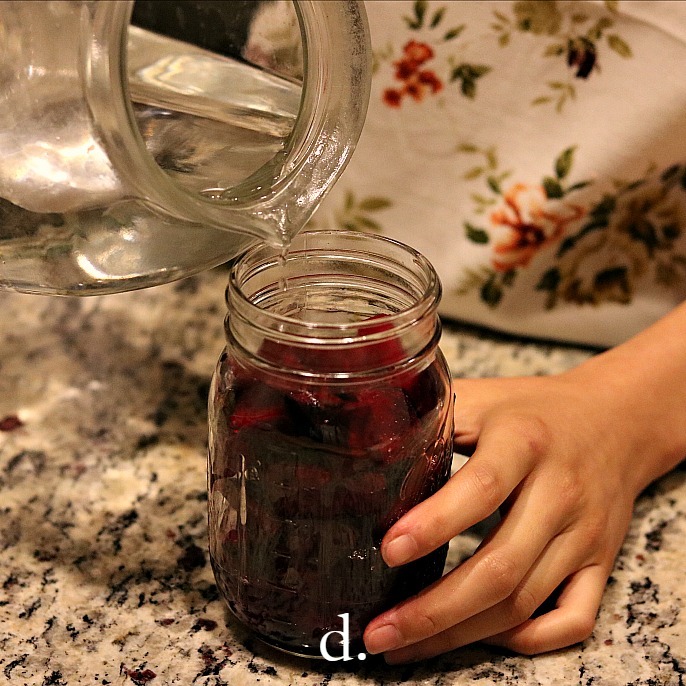 Next, sprinkle a few pinches of salt on the top of the chopped ingredients (c), followed by adding filtered water all the way to the top with one to two inches between the top of the brine and the rim of the jar (d). Then, you seal the bottle with a lid (e), label the bottle with necessary notes, and place it inside a container.